(AP) KABUL, Afghanistan - A gunman in an Afghan police uniform killed two British soldiers in southern Afghanistan on Saturday, a day after insurgents dressed in U.S. Army uniforms attacked a military base, killing two American Marines, wounding nine other people and destroying six Harrier fighter jets, military officials said. 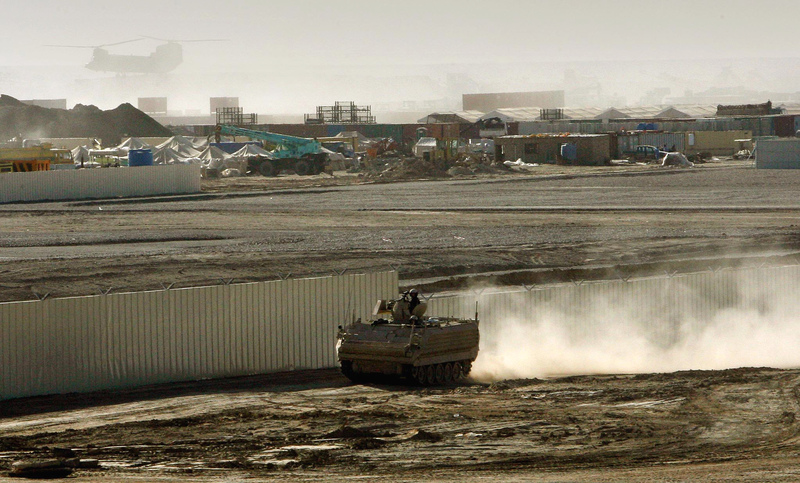 The insider attack came a day after insurgents conducted a brazen attack on Camp Bastion, a sprawling British base, also in Helmand province. Nine personnel with the U.S.-led coalition  eight military and one contractor  were wounded in the attack, but none of their injuries are life-threatening. The Taliban claimed responsibility for that attack, saying it wanted to avenge Muslims insulted by the amateurish film that mocked the Prophet Muhammad  the main motivator in a string of protests across the region this past week  and also because Britain's Prince Harry is serving on the base. The prince is serving a four-month combat deployment as a gunner on an Apache helicopter. Harry, who turned 28 on Saturday, is set to start flying Apache missions this week, and Britain's defense ministry did not plan to cut short the deployment after the attack. This is his second tour in Afghanistan. Afghanistan's southern region has been a hotbed of the insurgency and attacks against foreign forces that occur daily, although the Taliban have largely been routed in the country's capital and its larger towns. Helmand remains an active battlefield between insurgents and NATO forces and for years has been the site of some of the war's bloodiest engagements.